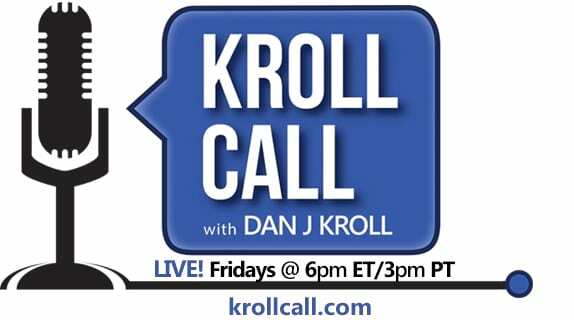 FRIDAY, February 20 (6pm ET/3pm PT) This week on Kroll Call, we’re chatting with everyone’s favorite golden man — Oscar! It’s a look at the Academy Awards with three-time Emmy award-winning entertainment reporter, Chris Van Vliet. Plus, we’ll take a look at some of the songs that have won Best Original Song over the years. And the Oscar goes to… You’ll have to wait until Oscar Sunday to find out which of your favorite movies and actors will take the golden statue. In the meantime, Chris Van Vliet will share his Oscar predictions and discuss what it’s like working the Red Carpet. Plus, he’ll talk about a price of a totally different kind that you’ll have to tune in to hear. Then, from “When You Wish Upon A Star” to “Let It Go,” a whole host of Disney songs have won Academy Awards. But what are some of the other songs that have taken top honors? We’ll take a listen to some of the winners. Coverage of the 87th annual Academy Awards takes place Sunday, February 22, at 7pm EST on ABC. Plus, it’s time for a trip back in time in the Kroll Call wayback machine. This week, we’ll take a listen to an interview from 2010 with The Young and the Restless star Victoria Rowell. Rowell recently announced her plans to sue CBS and Sony. While she wasn’t talking lawsuits in 2010, she was expressing her desire to see more diversity in daytime. Kroll Call streams live at krollcall.com. Learn more about entertainment reporter Chris Van Vliet visit: ChrisVanVliet.tv, Follow him on Twitter @chrisvanvliet and like his Facebook page!